"Manchester United start this season as the defending champions", not a phrase most of us will be unfamiliar with. However this year this is one big, big difference... Sir Alex Ferguson. After 27 years at the club Sir Alex Ferguson retired, arguably the greatest manager of all time, especially when you look at the trophies he won compared to the strength of some of his squads! David Moyes was offered the job, a man who whilst stabilising and growing the reputation of Everton has lacked competition success himself throughout his managerial career. This season will be one of transition and difference for Manchester United fans, how will those Londoners cope if United struggle initially? 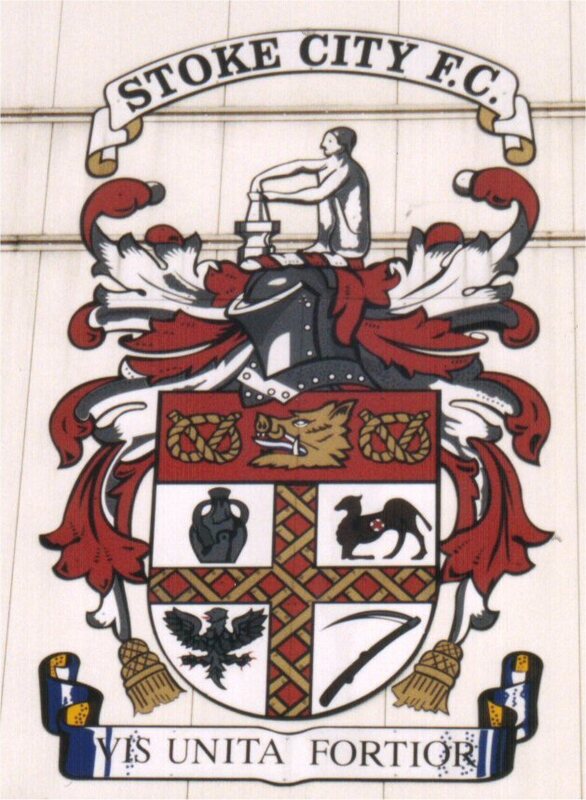 Will those Southerners still back their local club?! In all seriousness you cannot discount Manchester United, Moyes or Ferguson they'll be in the hunt for the title but could do with adding to their squad. Their pursuit of Cesc Fabregas was in vain (and in my opinion, always a waste of time), Cesc loves Barca and Barca love Cesc meaning David Moyes' marquee signing is yet to happen. That said, when you've got the likes of Robin Van Persie in your line up then you can head into a season pretty confident! RVP stormed the league after his move from Arsenal last summer and has been so successful he has pushed Wayne Rooney to wanting out. This, combined with the signing of exciting young winger Wilfried Zaha (yet to be fully convinced from seeing him in the Championship) means the Red Devils are looking sharp, any further additions will just add to this. 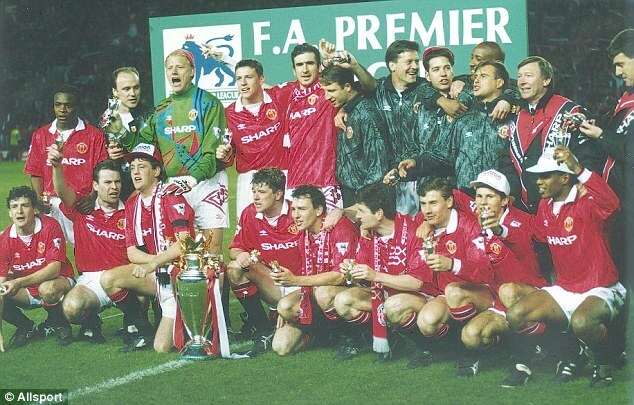 Manchester United are England's most decorated team of the Premier League era, who can forget the treble of 1999?? They're an institution not just a football club with millions of fans around the World so guarantee this, whether a few years of transition under Moyes or immediate, continued victories Manchester United aren't going anywhere! Keep an eye out for Leighton Baines and Marouane Fellaini, possibly on their way to join their old gaffer and as the Premier League kicks off for them 5:30 on saturday against Swansea be prepared for the dominance to be sustained. 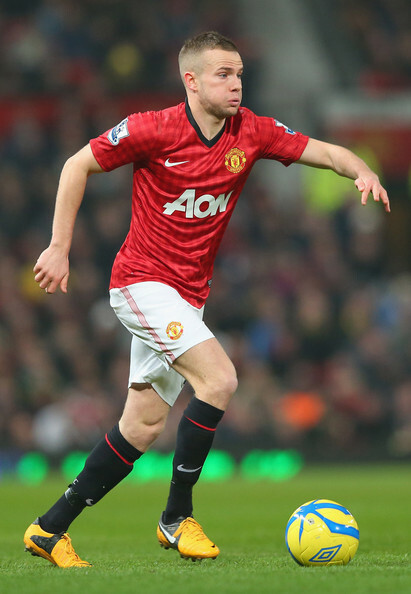 ONE TO WATCH: Tom Cleverley - People have been saying it's only a matter of time before one of England's hottest prospects makes the leap to being a big time player, let's not forget though Cleverley is 24! Appearing in 22 of United's league games last campaign, Tom will be hoping his development continues under David Moyes, a manager known for giving players spells to break into the first team. Cleverley now has 10 caps for his country but still hasn't convinced everyone of his talents, this is his chance to make a household name of himself! You would think having offered manager Alan Pardew an 8 year contract stability is not something the Toon Army would be worrying about... Think again! Slightly crazed owner Mike Ashley appointed the equally crazed Joe Kinnear to the role of Director of Football and promptly followed the very funny interview in which Kinnear got his players' names and his own career history wrong amongst other things. Debate has raged as to the need for a Director of Football, particularly of Kinnear's pedigree (or lack of) so it'll be interesting to see as the season goes on how this relationship develops/deteriorates. On pitch fortunes did not mirror Pardew's pay packet once the giant contract was announced last September, something aided by the loss of Demba Ba to Chelsea in January. Finishing 16th is not what Mike Ashley would've aimed for when funding the team in it's raiding of Ligue 1 mid season. However the impressive signings did not settle quick enough and this saw the side slide down the table in the back half of last season. It will be interesting to see how these 11 French players (recently joined by Loic Remy on loan) settle into the Premier League and integrate with the rest of the squad. I reckon things are on the up for the Magpies though, Wonga-gate resolved with Papiss Cisse (who will be needing a big year after faltering at points last season) and St James' Park's name back where it belongs it'll be rocking on the first home game of the season v West Ham! 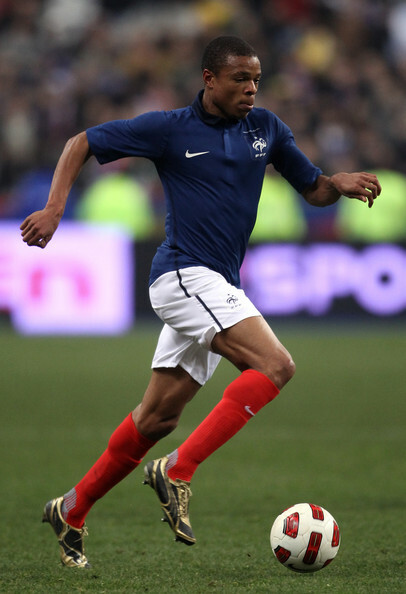 ONE TO WATCH: Loic Remy - QPR fans will have mixed feelings about Remy joining Newcastle on loan, a superb player but wages to make a Championship club's eyes water! Remy has a the talent, no doubt about it, we saw glimpses of it last season and during his Ligue 1 career so his goals combined with a Papiss Cisse who re-finds his form will fire Newcastle up the Premier League! Norwich perhaps surpassed expectations last season by finishing 11th in the Premier League, this campaign is widely expected to be tougher. Chris Hughton has signed some top players in the transfer window, Gary Hooper and Ricky Van Wolfswinkel add considerable fire power to his squad which is something Norwich desperately needed. Grant Holt has dropped a division to play Championship football with Wigan, a move that will divide opinion with most top flight fans. 11th is going to be tough to replicate though hence why the spending has increased. 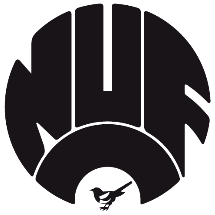 Chris Hughton, often thought of as a a young manager, is actually 54 and with a best win percentage during his permanent stay at Newcastle of 55.71% his only stand out he still has a lot to do to make himself a top British manager. Norwich is no easy job, defensively they lack superstars but additions to the fairly creative midfield makes you think they will have goals in them. Winning matches is what Norwich have to do, easier said than done! ONE TO WATCH: Ricky Van Wolfswinkel - Seems the easy choice, seems the cop out... It's not, he is the man Norwich fans will be desperate to hit the ground running. Their new record signing has been given the number 9 shirt, his task will be to score the goals that mean Norwich remain a Premier League club. This division is no Primeira Liga of Portugal however, yes while it's a decent standard it'll be much tougher for Ricky here. Pressure is on, not to mention from all those who have stuck him in their fantasy team! 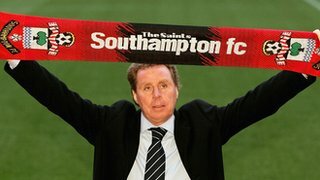 I've always been taken with Southampton, especially since they were re-promoted to the Premier League in 2012. They've got a squad of likeable players, especially Rickie Lambert how played in all the divisions on his way to the top flight, a beetroot factory worker made good who scored on his England debut! Nigel Adkins was a superb manager for The Saints but the club parted ways with him midway through last season and Mauricio Pochettino, former Espanyol boss was chosen to take the club forward. Pochettino had numerous critics at the start but I'm pleased to see things stabilised under him, this campaign will be a big one for him, I really hope it's a good one! Southampton placed 14th last year, I believe that'll improve this time around. Premier League experience does so much for a side and with the strong signings of Victor Wanyama and Dejan Lovren this only adds to their squad. I do think Pochettino will be working hard to complete a few more before deadline day as 2 won't be anywhere near what a manager looks for. 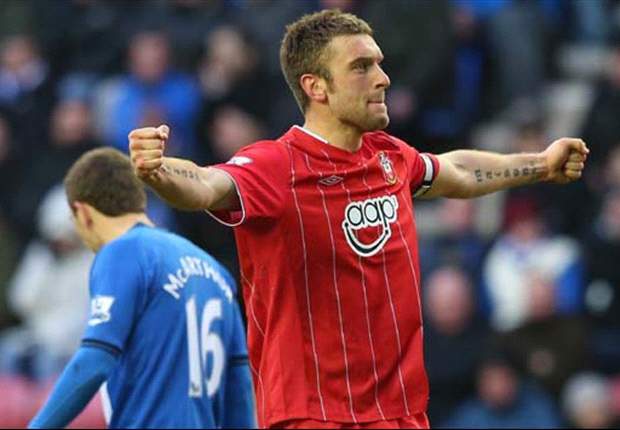 He'll also be wanting the likes of Jay Rodriguez to chip in with a few more goals after only 6 last year. It's no easy feat winning games in the Premier League as previously mentioned but Pochettino's La Liga experience adds something different to Southampton. Gaston Ramirez was a extremely astute signing from the previous regime, he was wanted by a number of top clubs and showed the odd glimpse of talent last season but not of the world beater he could be. He will have to improve the creativity and assists over the next few months. Tactically Southampton have adapted to Pochettino and so pre-season has given the backroom staff time to develop this further, certainly going to St Mary's won't be a walk in the park! ONE TO WATCH: Victor Wanyama - Cardiff and Southampton were fighting it out for the services of Celtic's Kenyan midfielder. Wanyama, 22, impressed last season in the SPL and was subject to a bidding war from the promoted side and The Saints. His agent called off talks with Southampton as Cardiff looked set to land him but upon Celtic requesting more than the £10m on the table Wanyama's only option become Southampton. This meant his agent U-turned and the deal got completed making him their record signing. There will be pressure on him to succeed now and he can do it but the Premier League is a whole other level to Scotland. Mark Hughes... I should love him considering he's Welsh but I just don't back him and neither did a load of Stoke City fans. He's taking over from fellow Welshman Tony Pulis who many non-Stoke fans weren't fond of due to his style of football. Long ball and efficient set pieces, boring and 'anti football' but in many ways effective. I'm not anti-Pulis in any way, Cardiff play long ball and set pieces would be my chosen aspect of coaching if I was one, I absolutely adore a good set piece! So it's going to be very, very interesting as to how Mark Hughes new style of football that he openly states he'll bring will fit in with the club. He hasn't even managed a game yet! 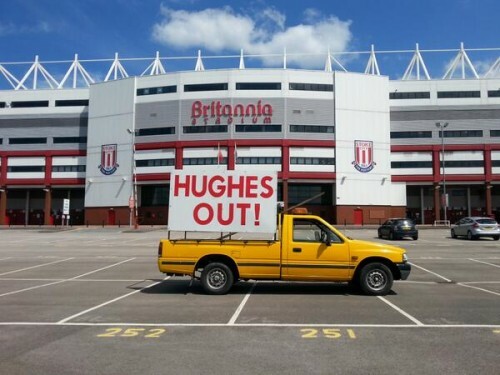 That said Hughes has done a decent job at some of his previous clubs and he seems to have convinced his players. Cameron Jerome for one has spoken out against the Pulis regime. 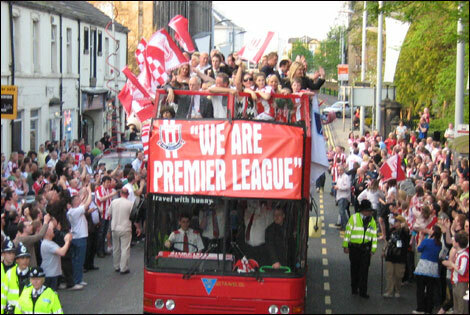 However, when looking at other clubs around Stoke's bottom off pedigree you just don't fancy them at all. Lots of players with potential who have tailed off: Kenwyne Jones, Charlie Adam, even arguably captain Ryan Shawcross. It's a tough league and when your frontmen don't deliver like Stoke have experienced it's much worse. Creativity is also something lacking, Hughes has a job on his hands making a side with lump it up plan A turn into an attacking, passing unit. Jack Butland, Asmir Begovic, and Thomas Sorenson are all quality keepers, they'll be key if Stoke City are to be in a relegation battle this term. Not only will the back 4 be more exposed if the intention is to get the ball down and play football but it'll be tested like never before. The potential for mis-placed back passes and defensive errors will mean whoever is in-between the sticks will have to be on top form. ONE TO WATCH: Marc Muniesa - I was stunned Stoke managed to pull this transfer off, if Hughes does want to play football then where better to look than a product of Barcelona?! Muniesa, who mainly plyed his trade with Barca B did have the odd first team opportunity but was allowed to move on to gain the first team football he desired. As a Cardiff fan I'd have absolutely loved to sign him!! Muniesa will be a busy boy, not to mention the height of expectations due to his upbringing in La Masia! Keep an eye out for part 4! !